Spring has arrived. 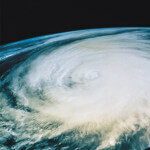 Warm weather is rolling in to most the country, birds are singing, bugs are flying, and flowers are blooming. The warm weather means birds, bugs, and other animals are searching out places to nest and raise their young. To them, your chimney is an attractive home. 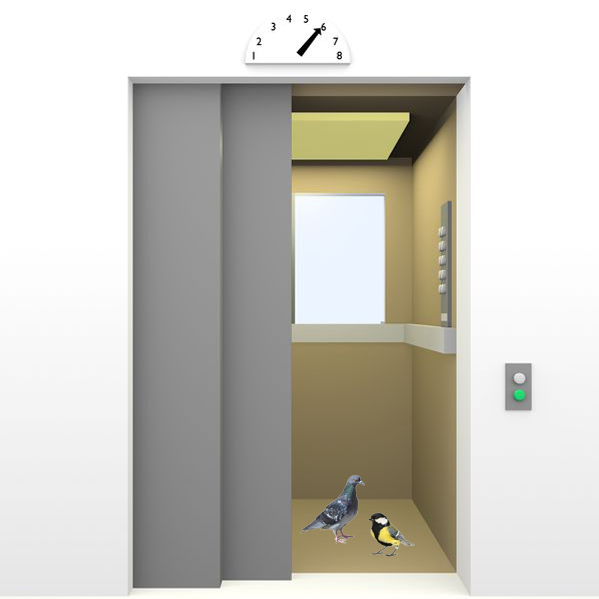 Birds, especially swifts, swallows, and even some ducks, commonly build nests inside chimneys. Bees have been known to build hives inside chimneys, often causing bees to fly down into the house, causing a serious problem. Mammals such as raccoons, squirrels, and bats will come down the chimney to roost or raise their young. So, how do you keep all these spring creatures out of your chimney and home? 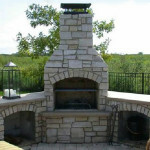 The most complete protection for your chimney and home is a combination Lyemance Damper and Chimney Cap. 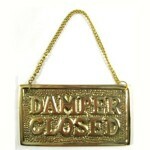 The Lyemance Damper like the one above acts as a door at the top of your chimney. Simply pull the handle in your fireplace to close the door, sealing off your chimney with an air-tight seal. 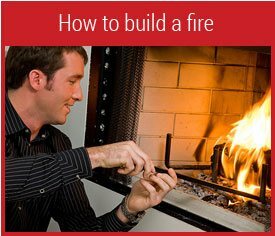 During the winter when you want a fire, simply open the damper with the handle in the fireplace. 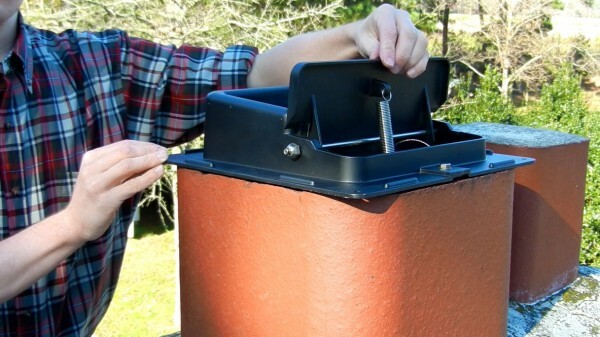 The air-tight damper is the only way to keep bees out of your chimney. As an added bonus, the Lyemance Damper will reduce your heating bill by keeping hot air from going out the chimney. 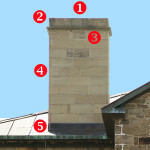 The chimney cap keeps birds, bats, squirrels, raccoons, and other animals out of your chimney when the damper is open. The lid of the chimney cap also prevents rain water from coming down into your chimney. 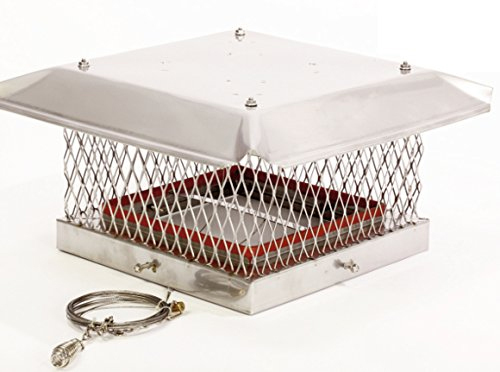 A Top-Mount Damper and Chimney Cap combination will assure your chimney is safe from intrusion. Click here to view our selection of chimney top mount dampers and top mount dampers with included chimney caps. Last updated by Tom at June 13, 2016 . ‹ Mother’s Day Candelabra Giveaway! But how do I get the birds currently nesting in my chimney out without hurting them? Think they are doves, as I hear “kooh, kooh”. Would some smoke going up the chimney say from a candle or burnt paper get them to leave? Louise, it is not just the birds that are now a problem but also the nesting material. See our suggestions here about getting them out. Please don’t try fire, even a little one from a candle. You can inadvertently start a chimney fire if any of the nesting material were to come into contact with a stray spark. 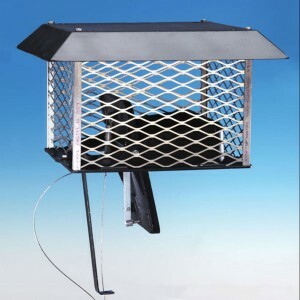 2 Pings/Trackbacks for "How To Protect a Chimney from Birds, Bees"